We launched our inaugural cohort with the goal of starting new companies that tackled issues affecting the financial health of Americans. We recruited five exceptional individuals with backgrounds in investment banking, early-stage startups, innovation consulting, and nonprofit leadership. Over the course of six months, they have transformed from entrepreneurial talent into founders, building startups in affordable housing, emergency savings, emergency credit, and financial management for overlooked populations. "I'm participating in the INVANTI fellowship program after working for 3 years at a tech-based social enterprise in India. After graduating from Notre Dame with majors in Political Science and Chinese, a minor in International Development Studies, and a certificate in Microventuring, I took part in the American India Foundation’s Clinton Fellowship. As a Clinton fellow, I was placed in Bangalore with Babajob.com, the largest informal sector jobs marketplace in India with over 8 million job seekers. After completing the fellowship, I stayed on with Babajob, eventually becoming the Product Manager for Strategic Partnerships and Analytics. I ran the company’s research portfolio, managed partnerships with international and governmental organizations, handled the company’s analytics, and acted as part of the product team. I stayed with the company until it was sold to Quikr, the largest classified platform in India, in May of 2017." 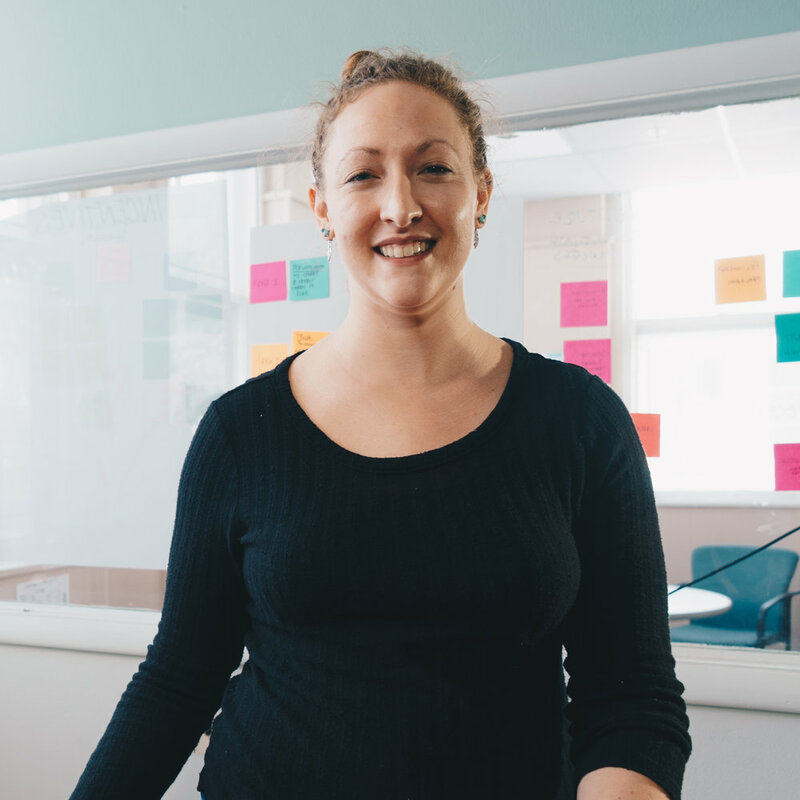 "I chose INVANTI because I believe it is an exciting approach to problem-solving, built on user research and in-depth engagement with stakeholders, concepts that are important and too often overlooked. The focus on financial inclusion seems especially timely, with new technologies creating opportunities to provide value to people who are underserved by the traditional financial system. In addition, I’m excited to be a part of South Bend’s ongoing transformation into an innovation hub." "In my free time I enjoy reading, especially South and East Asian fiction, as well as binging on a combination of Netflix and any sort of spicy food. I’m always excited to find live music, and when I stumble on the willpower to do it, learning how to code." "I am a native Californian sprinkling magic as I explore all the world has to offer. I am a recent Duke University graduate with a BSE in Civil and Environmental Engineering. Upon graduation, I worked at Deloitte Corporate Finance where I focused on mergers and acquisitions of family-owned companies across various industries like technology, consumer products, agriculture, and distribution. It was here among spreadsheets and late nights that I demystified the career of an entrepreneur launching myself into my own entrepreneurial venture specializing in Black women hair called Grumed. Now that I have dipped my toes into entrepreneurship, I am eager to dive in!" "INVANTI presents an amazing opportunity for me to sincerely make a difference in not only the community I grew up in but also many others that share the same problems and often get overlooked. As a beneficiary to programs devoted to elevating the next generation of low-income families through the attainment of higher education, coupled with my experience volunteering at organizations like the Boys and Girls Club and elementary schools in Ethiopia, I am passionate about the challenge ahead of me. Further, I am excited that I have the opportunity to wholeheartedly dedicate myself to this challenge, along with other passionate individuals, and hopefully launch a career as a social entrepreneur." "When I am not working, I love to curl up with a good book about anything from self-improvement to why are we born. I also love to explore new restaurants, activities, or hidden gems within my neighborhood or really anywhere in the world." "I am a proud South Bend native and will complete a Masters of Nonprofit Administration (MNA) at Notre Dame in May 2018. I received my undergraduate degree in psychology and social work from Purdue University. I have administrative, fund raising, and/or board experience in mental health, medical fields, youth programs, addictions, homelessness, poverty, adults with developmental disabilities, and adults with traumatic brain injuries—all of which are passions of mine. Most of my experience primarily or in part demanded innovative applications to overcome substantial barriers for a program or the firm’s success or in some cases, survival. My pragmatic approach to problem solving attracted me to Notre Dame’s MNA program in 2016 where they challenge the status quo of nonprofit work with the application of business models. Case studies and happenstance in the last year introduced me to field of social entrepreneurship and the amazing work and growth happening in that sector. Recently, I have begun work with a firm that serves the homeless in the heart of South Bend and individuals in the South Bend region experiencing legal issues related to immigration." "I chose INVANTI because the intellectual approach co-founders Maria Gibbs and Dustin Mix are applying to social entrepreneurship aligns with my views of impactful innovation. There are two major things that excite me about INVANTI. First, stakeholders are the center of the business. Not only are the initial problems defined by the stakeholders, the stakeholder is considered part of the evaluation of the venture meeting it’s mission(s). Second, stakeholders are treated like valued parts of the venture as opposed to charitable causes that we do things to or for. People can regain integrity through our ventures." "My favorite thing to do at anytime is to connect with people, especially my family. I enjoy a wide variety of activities in my free time like hiking, biking, yoga, meditation, reading, cooking, music and being outdoors with my dog. I am always excited to learn something new." "I just recently returned to the US, having spent the last three years helping build and scale early-stage social ventures in Ghana, focusing on the nexus between profitability and social impact. I worked as a business developer and account manager for Ignitia, a tropical weather forecasting company that provides highly-accurate rain forecasts directly to small-scale farmers, and as a social impact analyst for SeKAF, a Ghanaian owned and operated social enterprise that provides raw ingredients and shea based bath and beauty products, sourced through an environmentally friendly and ethical supply chain. I began my career in international development before transitioning into Corporate Social Responsibility, and have traveled extensively representing myself and my companies at conferences and awards as well as for media outlets. I have a BA in International Relations from Washington University in St. Louis, and an MSc in International Relations and Corporate Social Responsibility from the University of Edinburgh." "I have spent my entire career attempting to solve social and economic problems on an international level, and believe that I can use these same skills and passions to solve the problems in my own backyard. As a graduate of Washington University in St. Louis, I am familiar with the Midwest and the many problems this region faces. Financial Inclusion, in particular, serves as an undercurrent of so many of the larger issues. INVANTI offers the perfect nexus between sector, location, and network to allow me to use my passion for social enterprises, skills scaling start-ups, and desire to help solve financial problems for the residents of South Bend and the Midwest." "I suffer from incurable wanderlust and curiosity, and so I am constantly searching for new areas to explore, foods to try, books to read, people to meet... and of course wines to drink!" "I am originally from Washington, D.C. and chose to attend Notre Dame to study business in 2012. I graduated from Notre Dame with a bachelor’s degree in Management with a Consulting concentration, a minor in Portuguese and Brazilian Studies, and an International Business Certificate in 2016. I was heavily involved in student government – overseeing student club activities and proper fund allocations, studied abroad in São Paulo, Brazil to learn Portuguese, and Greater China to gain exposure to business in the Far East. I have years of experience and exposure to problem solving, leadership, and entrepreneurship, and have put together a track record of successfully navigating ambiguity." "This past year, I worked with enFocus – a startup in South Bend dedicated to improving quality of life, quality of place, and attracting talent to the area – and created impact through project work and community engagement in local government, public education, and community health. I explored several promising ideas for launching a startup in different industries, but none have ultimately compelled me to date. The problem-solving skills I developed and gift of witnessing the real-time impact of his contributions led me to INVANTI." "I enjoy listening to music, cooking, traveling, networking with a purpose, and working out with friends. My passion is progress, and this becomes evident as you get to know me. "